battenfeld-cincinnati is known for its innovative, energy-saving machine concepts for pipe and profile production. 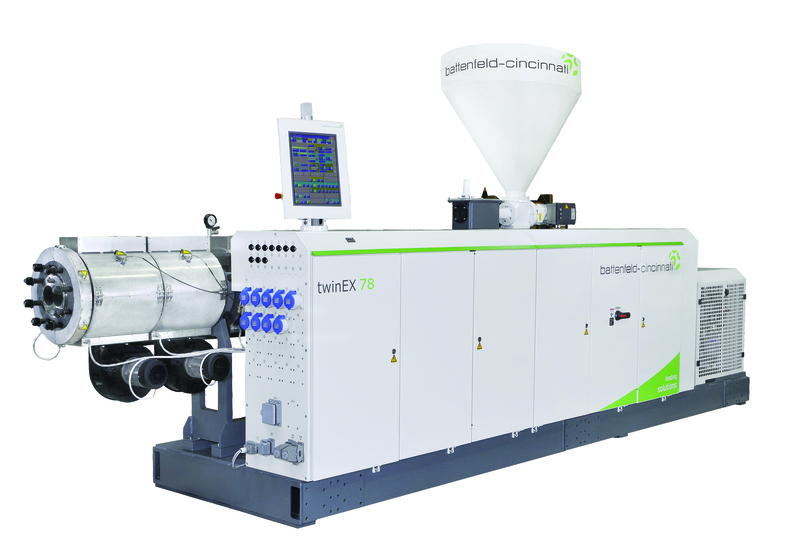 At its stand in Pavilion B, booth C 34, the German-Austrian machine manufacturer will present the latest generation of the twinEX and solEX extruder series.twinEX parallel twin screw extruders are highly flexible, with gentle, homogeneous melt processing, offer a favorable price/performance ratio and reach outputs between 120 and 1,000 kg/h in PVC profile production. The solEX single screw extruders series is the ideal choice for high-performance extrusion of PE-HD and PP pipe with outputs ranging from 100 to 2,200 kg/h. The solEX series provides excellent melt homogeneity and low melt temperatures as well as excellent specific throughput due to high installed screw torques. While using a proven modular system, battenfeld-cincinnati also provides options for customer-specific solutions. battenfeld-cincinnati is a leading provider of solutions for large-diameter pipe applications and supplies complete lines for PE pipe with diameters of up to 2,500 mm and PVC pipe with diameters of up to 1,300 mm. Many lines are already successfully operating in the field. Among them is a 2,500 mm line for producing fully walled PO pipes, which is equipped with a helix 2500 VSI pipe die for optimal wall thickness distribution and smooth inner surfaces. Maximum line outputs can be achieved with this line thanks to the customized downstream equipment that is optimally coordinated with the extruder-and-die combination. battenfeld-cincinnati will also present the techBEX, an all-in-one complete line solution for technical profiles. Under the motto of “quality meets cost-efficiency”, techBEX offers a range of standardized, complete extrusion lines that can cover a wide range of applications.